> InfoPro Learning > Transform Your Leaders to Excel in the Digital Age… and Beyond. 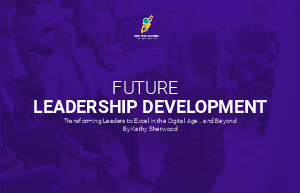 51% of organizations say their leaders are not at all ready, or only somewhat ready, to lead their organization today (per Brandon Hall’s State of Leadership Development report). Even more troubling, only 29% of organizations feel their leaders are ready to lead their organizations into the future. For those of us charged with the responsibility of developing future leaders, the future is now. Download our eBook today to prepare your leaders to excel in the digital age… and beyond.